Kala UBass – Play UBass! 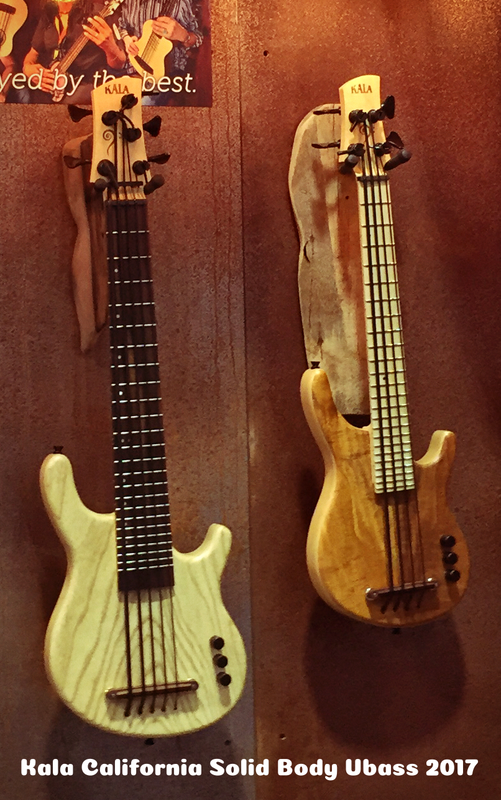 In January I traveled to California for the NAMM show in Anaheim to promote the Ubass alongside Kala. You can read about my experiences from Winter NAMM 2017 here! 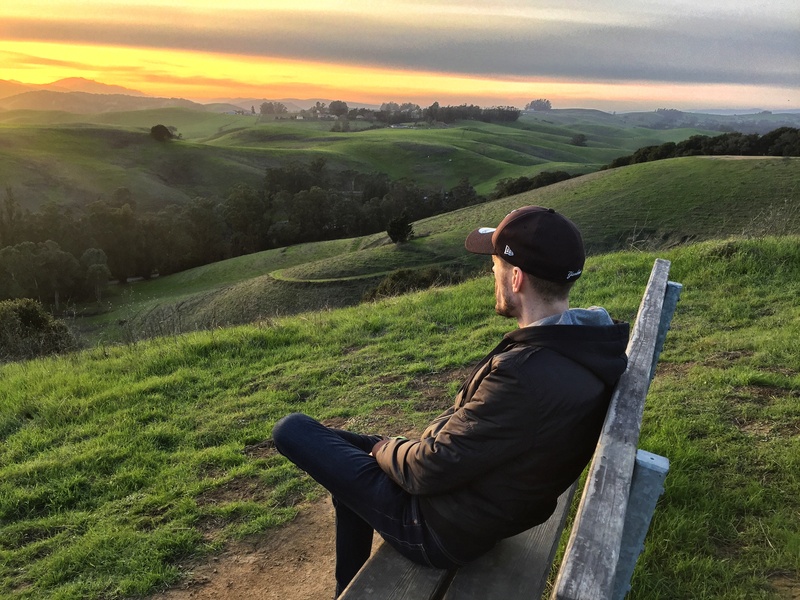 My trip started with a visit to Petaluma, CA, the home of Kala Brand Music. This was the second time I visited the Kala headquarters and since the first time in the summer of 2015 a lot has happened. The Ubass has evolved and in October 2017 the company moved to a new and bigger facility that includes a great factory where the California series of the solid body UBasses are built alongside the Elite series of the ukulele models. My focus for this visit was to make some videos with the Kala video crew and also talk about Winter NAMM that was just around the corner. I brought my two custom solid body ubasses with the prototype E-A-D-G-C string sets. I did some videos with them alongside the new Kala Journeyman ubass and a 5-string California koa solid body ubass with regular B-E-A-D-G tuning. Me and my wife really had a wonderful time in lovely Petaluma situated about an hour drive north of San Francisco. The town has a lovely downtown area and a beautiful countryside. 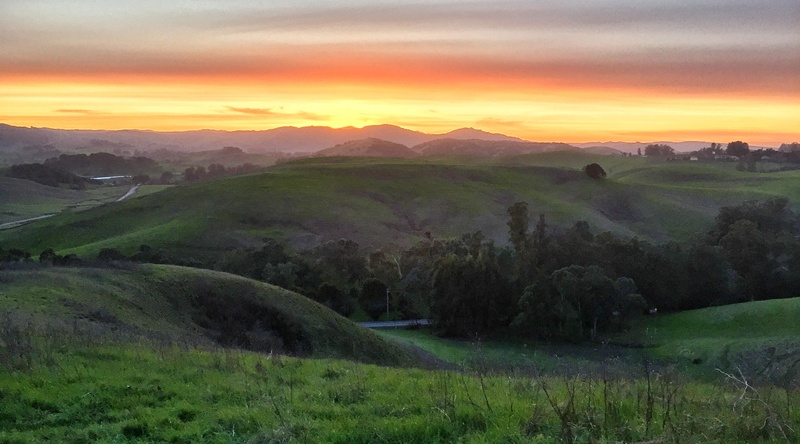 We spent some time in the Helen Putnam Regional Park and caught a lovely sunset over the rolling green hills. I also had the privilege visiting the home of Kala Brand Music president, Mike Upton, and we had a nice little jam in his living room! I went to pick up my name badge and got to see the wonderful Kala booth. It was a lot bigger then last year. Really spacious and beautiful with a genius and practical design! From the get go there was a steady stream of things happening. Musical highlights was standing a few feet away to one of my musical heroes, the fabulous organ player Joey DeFrancesco, when he played some super lovely organ jazz at the Visconti Organ booth. I told him about that lovely concert I heard him perform in Stockholm many years ago. YES! He came to Stockholm in October. I saw the show with some friends. Did he have a bass player with him…no…was it still great… YES!!! Laboriel and Patitucci both received Lifetime Achievement Awards from Yamaha this night! It was great to once again, if super brief, say hi to one of my mentors, Victor Wooten. I attended one of his camps outside Nashville back in 2011. Anthony Wellington was one of the many great instructors at the camp. Joe Craven was a guest at the camp. A super talented multi instrumentalist. So great to meet him again! Also got to meet Christian Fabian, a great bass player born in Sweden but now lives in NYC. I also met some great musician friends! Please check out Ariane Cap she’s a great bass player and educator (I met her at that Wooten Camp back in 2011) I also met Sam Montooth a great singer, bass player, teacher based, as well as Ariane, in the LA area. I also met some new friends and they were also Bakithi admires! I got to meet and great Mr Funk, Bootsy Collins! And check out the great Manou Gallo! Oscar Cartaya a great latin bass player and ubass artist visited the booth and also played at the Bass Bash. I ran into Ida Nielsen (played bass with Prince) and Morten Ehlers (the founder of Bass Buddha, a bass shop in Denmark. I met Christopher Bolte at the Frankfurt Musikmesse back in 2014 and now we finaly meet again. He’s a fellow Gruvgear artist. Greg Olwell, the editor of Ukulele Magazine, came by the booth. He writes for the Ukulele Magazine and made a great ukulele bass roundup a couple of years ago. It’s so great to hear talented ukulele players jam. Corey Fujimoto and Andreas David are super musical on their ukuleles! 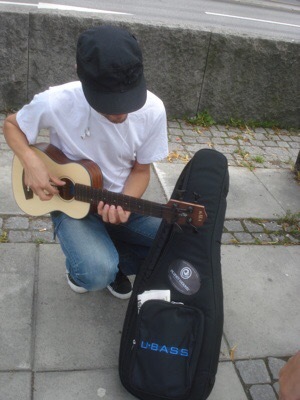 Andreas managed the German ukulele site Gute Ukulele! Meeting more new friends, Amie Cool, trying out a new pedal by Ruppert Musical Instruments and seeing Jeff Berlin in a nearby booth concludes the Day 2 travelogue. Some highlights this day was seeing good friends Ariane and Wolf. We had a nice little lunch away from the crazy show floor. I got to meet Kala Ubass Artist Nik West. She had her signature ubass on display at the booth. The duo Go West demoed at the booth. So did Corey, Andreas and myself. I don’t have any pictures but have to mention the wonderful Jule amps the Jule Potter makes! I got to meet great friend and ubass player Greg Gohde too! While walking outside after a long day we heard som crazy energic funky music performed by Kyotaro and Rikuo, a Japanese rhythm section duo. We closed out the day with some great food at the Disney Resort. So it’s time for the final show day! Bakithi came by the booth again so did bass player/actor Sekou Bunch. He did some great jams. I will probably share some of that later! Divinity Roxx, former musical director with Beyoncé, came by too. The great Ukulenny demoed at the booth. My new friend Simon Poulton tried the Kala Journeyman. The Japanese bass player from Kyotaro & Rikuo from Day 3 visited the booth too. I went to see Christopher Bolte demo at the gruvgear booth and got to met good friend Jay Baldemor. Gruvgear make a really nice and sturdy gigbag for ubass! It was so great to work alongside my great Kala Family once again! See you soon! The new Jorneyman ubass is one of three new ubasses in a new entry level line. These models are offered in fretted versions and will hopefully be available in fretless versions too later on. I played all three of these and they are a great addition to the existent line of ubasses. This concludes my travelogue around this wonderful Ubass Adventure! The classic song is, as you probably know, from the opera Porgy and Bess, by George Gershwin. It was first performed in Boston in 1935 before it moved to Broadway, New York. ”Summertime”, by far, the most classic and recognizable song from Porgy and Bess. It has been performed by countless of musicians across the globe since 1935 and onwards. I decided to incorporate my fretting hand tapping plus plucking hand percussive technique that I have used from time to time since 2014. It all started when playing in the country duo M&M’s Honky Tonk with the great friend and lovely guitar player, Marcus Måttgård. I wanted to add some percussive parts to mimic a drummer and experimented using the body of the Ubass as a percussive acoustic drum. Recently I started to use a acoustic pickup by Ehrlund microphones to enhance these percussive sounds. Before playing with this technique only really worked in the studio, where I could use a separate mic to pick up the percussive sounds, or in a small intimate live setting where the audience is near the performance. The pickup is blended with the built in piezo and this makes it possible to play bigger venues and the percussive parts can be heard alongside the tapped bass part. More about this in a later blog post! 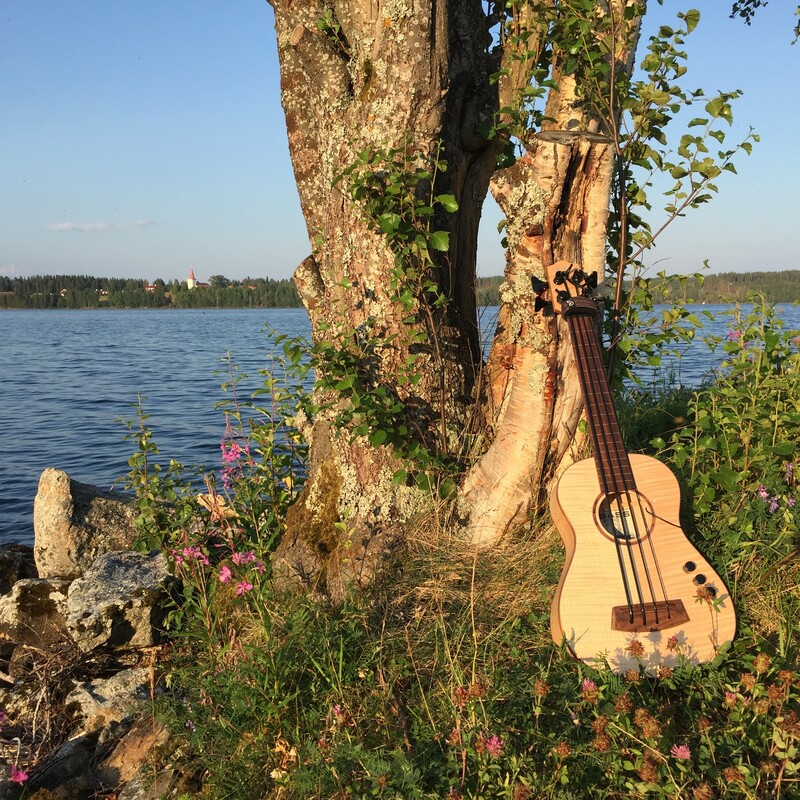 Besides the core parts of bass line/percussion played and recorded live on a small dock by the lake Storsjön in Jämtland, Sweden I added vocals and, for the first time in any of my videos, ukulele parts! I hope you will enjoy my version of the Gershwin classic! This song is a traditional folk tune from Gotland, Sweden. 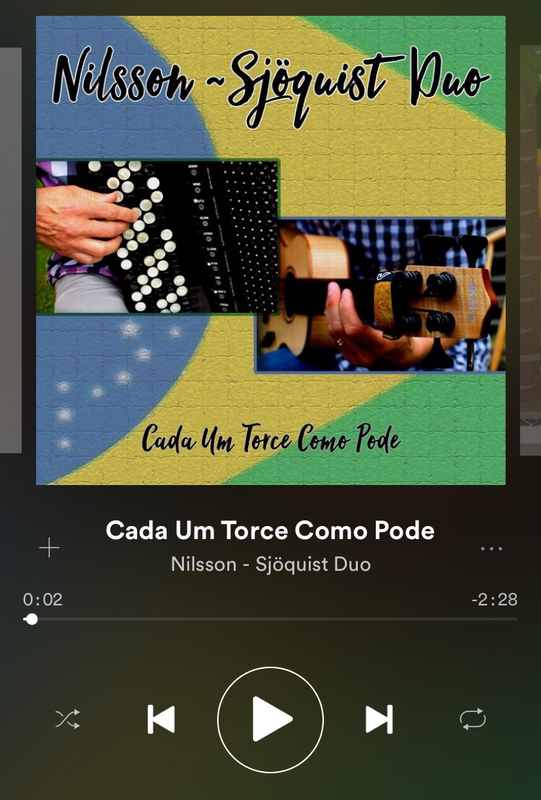 Eva and I started playing it as a duo on our trip to Brazil back in 2015. We wanted to bring some examples of traditional Swedish folk music on our trip. To make it work in a ubass and vocals setting I played the bass part through a delay pedal. I thought the extra rhythmic motion we got using this technique really helped us capture and deliver the haunting melody in a great way. I use a combination of arpeggios, chords and regular bass lines in my bass part. In the trio version Daniel Björnmo adds an extra layer of color with his world class guitar playing. The added grit with close cluster like harmony through distortion pedals makes the song even more ethereal and haunting, I think. The ubass have some added modulation and octave up effects blended together with the delay. This is a live in studio recording but we also added some percussion parts. I played some suspended cymbal swells. You can also hear what we call ”the submersed gong”. This is a gong gong that we recorded as it is put under water after it is played. This bends the sound in a very nice way. I first heard this on records and live with one of my musician heroes, Indian percussionist, Trilok Gurtu. We really hope you will enjoy our version of this Swedish’s folk song! For the best listening experience please listen to this song with good headphones or speakers that can reproduce a wide frequency spectrum! This is a little tribute to one of my musical heroes: Mr Steve Swallow. 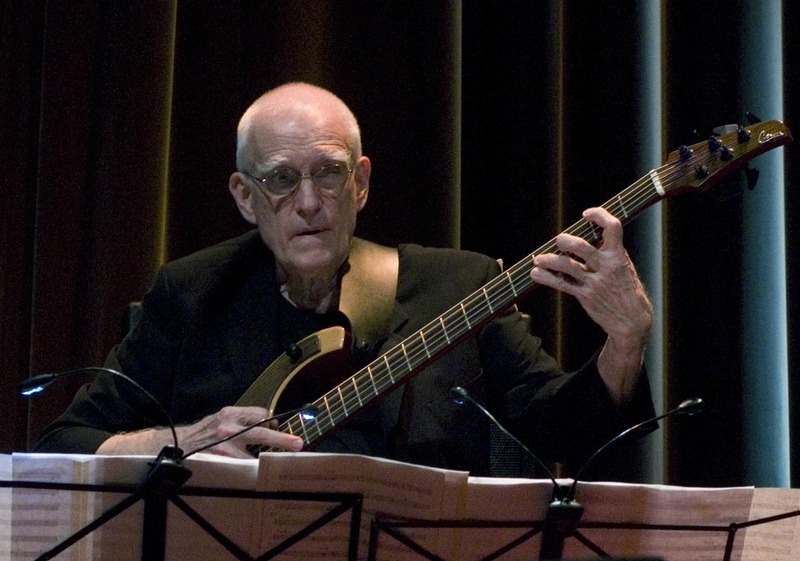 I have listened to his Music for quite some time and have always admired his unique approach to playing bass. In my version I play fingerstyle although Mr Swallow uses a pick. One of his most famous compositions are Falling Grace. You can find out more about him here! There are videos on youtube with bass players playing solos performed by Swallow but not many (if any) playing one of his chord-bass parts. This one is transcribed from a John Scofield Trio version of the evergreen ”Someone to watch over me” (George and Ira Gershwin) from the musical ”Oh, Kay!”. I heard this performance last year and decided to transcribe the part when he comps behind John Scofield during the the melody. I wanted to explore the voicings he used with his 5-sting bass tuned EADGC. In the video I’m using my Kala California Custom Flame Maple solid body ubass. One of the first made using the ”exotic tops” back in 2012-2013. Please check out the new updated ones! I decided to add the melody singing the Frank Sinatra version of the lyrics. I got some nice help with a great brushes and cymbals part too. I’m working on more ebooks in my Learn to play the ubass series and one of these will focus on playing chords on a ubass/bass. The ubass was recorded through my RMI Basswitch IQ/DI and then re-amped using a Radial X-amp. Se pic below. I used a combination of mics to capture the sound of the Phil Jones Double Four combo amp. Read more about the amp in my review. Please check out my review of the PJB Double Four! The PJB Double Four at a recent gig. A perfect small combo amp and monitor for ubass, electric and upright. The Ampeg combo in the pic is only used to elevate the Double Four. Behind the D4 is my Slickbag Double Gigbag. It is used to get some more bass response since there was about 50 cm to the rear glass wall. In 1987 I bought a new amp, a Gallien Krueger 200MB. I used this amp for a lot of different gigs sometimes with a extension cab but for most part as a standalone amp. The MB250 was a small combo amp that was a real breakthrough product back in 1987. Small but powerful and well built. I still have this amp! I have changed the speaker once since the surround of the original speaker dried and fell apart. However once you open the enclosure once it’s really hard to get it air-tight again. The construction is built upon a closed box to get the sound. I have used this amp mainly as a backup only for the last 8+ years. When I planned a trip to Brazil in 2015 the need for a new really small and travel friendly amp grew. I started to look around, getting different recommendations from friends and online searches, found the Phil Jones Double Four and decided to try it out. The Double Four is a 70 watt (all digital, pre- and power amp) with two four inch speakers (hence the name). It features a specially developed innovation called RALFR®, a special reflex port that greatly enhances the bass response. Besides basic amp controls there is an AUX-input (for your smartphone or more…) with a level control, headphone and Line out. You can use it in either a vertical or horizontal mode. Read more about the amp here. Although the amp is all digital it sounds very warm and organic and brings out the core tone of everything I put through it, and it weighs in at only 4 kg! It is loud enough for rehearsals and smaller venues. More info below! This little amp has been working hard for me. As I mentioned in the background the initial goal of the amp was to bring it with me to Brazil in 2015 when I visited the capital city Brasília to check out different music schools. I met a lot of wonderful and lovely people on the trip. The amp was really a great companion to me and my Kala acoustic/electric ubass. I used the ubass with the amp on outdoor restaurant gigs, at a small pub and at the different schools me and my colleague visited, played concerts and held workshops at. Please read more about the trip here! Back in Sweden I have used the small and powerful combo for a lot of rehearsals and small gigs. It has been a great way to always have a great sound wherever I go. The people I have played with have always been overwhelmed and surprised about the small amp with a big sound. It has worked well with ubasses, electric basses and upright bass. Although it’s small and “only” 70 watts i has even worked as the only amplification in acoustically big sounding rooms like stone churches together with guitar and vocals. Live in studio recording with vocals, guitar and accordion. Miking the rear port and blending it wit the DI signal from the ubass. Let’s listen to some examples of how the Double Four sounds with ubass in different genres and situations. This Summer I also made a ”iso-amp-box” for ”silent recording” with the Double Four. I made this box for recording dates where I need to get a miked amp sound in the same room with other musicians. Very little sound is heard outside the box and not much sound will get into the box. It can be used for the actual recording or to get a great and organic headphone sound when tracking. I will do a dedicated blog post about how that works (and sounds) later! If you’re looking for a small and ultra portable amp with a warm and natural sound you should definitely add the Phil Jones Double Four to you check-out-list. Playing my Kala Ubass with the PJB DoubleFour is a match made in heaven – a wonderful and small footprint with a big warm sound – a great combination for sure! The first lesson gives you suggestions about different ways to hold the Ubass. Since the body and over all length is so much shorter than a regular electric or acoustic bass guitar you really need to find a way to accommodate this. In the lesson I go through different ways I hold the ubass. I have found out a couple of alternatives that can be nice to switch between or at least use as a starting point when you develop your own ”holding style”. I will let you know what has worked best for me and why. Even though you have been playing regular bass for a long time I think this lesson will help you to get a good ”grip” on your ubass playing regarding how you can hold it to get the most out of your ubass music making! My parents bought my first ubass at a music store in Honolulu, Hawaii while visiting the islands back in 2010. I had not been able to try one beforehand. It only took me a few moments to get acquainted with the short scale length and rubbery strings. After that I got more and more in love with the feel and sound of the ubass. Hope you have or will get the same feeling for these amazing instruments! Read more about my first encounter here! First release by Nilsson – Sjöquist Duo! 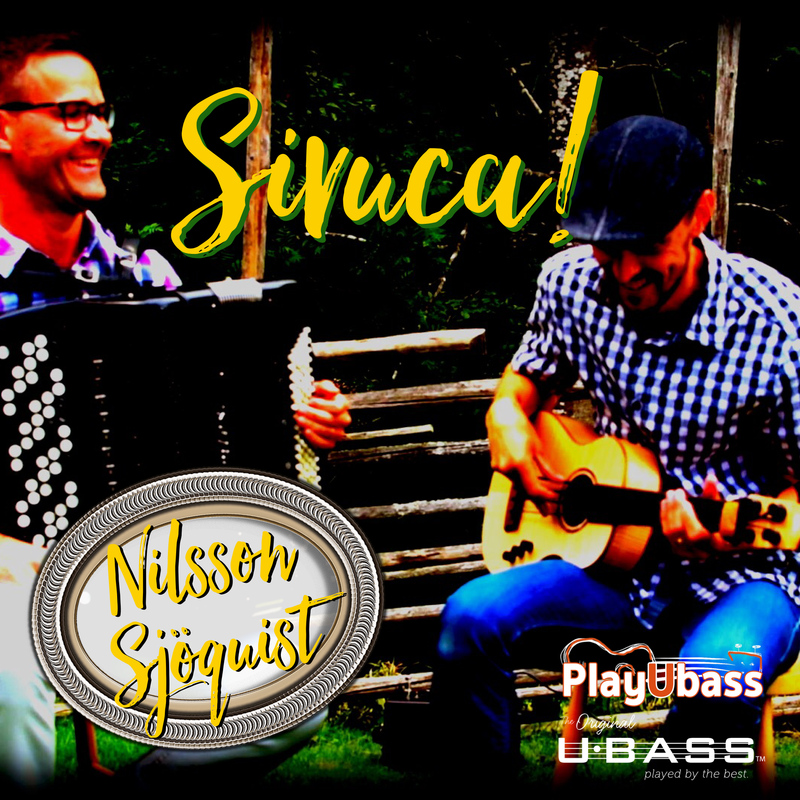 In this first release, by the Swedish based Nilsson – Sjöquist Duo, we want to show our love for the music of Brazil and this time we feature a Sivuca song! We play an arrangement by Tommy Nilsson of the song ”Cada Um Torce Como Pode” made famous by Sivuca. 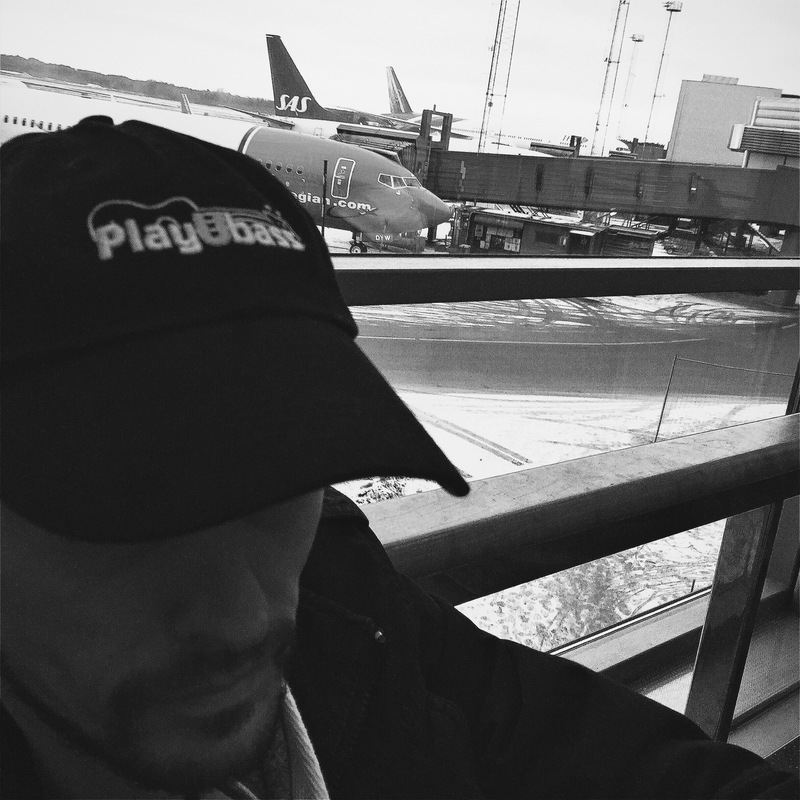 Both Tommy Nilsson and Magnus Sjöqust have been playing in different groups and projects for many years. The duo format is nice because it gives us a lot of space to express ourselves through our instruments, the accordion and the bass. 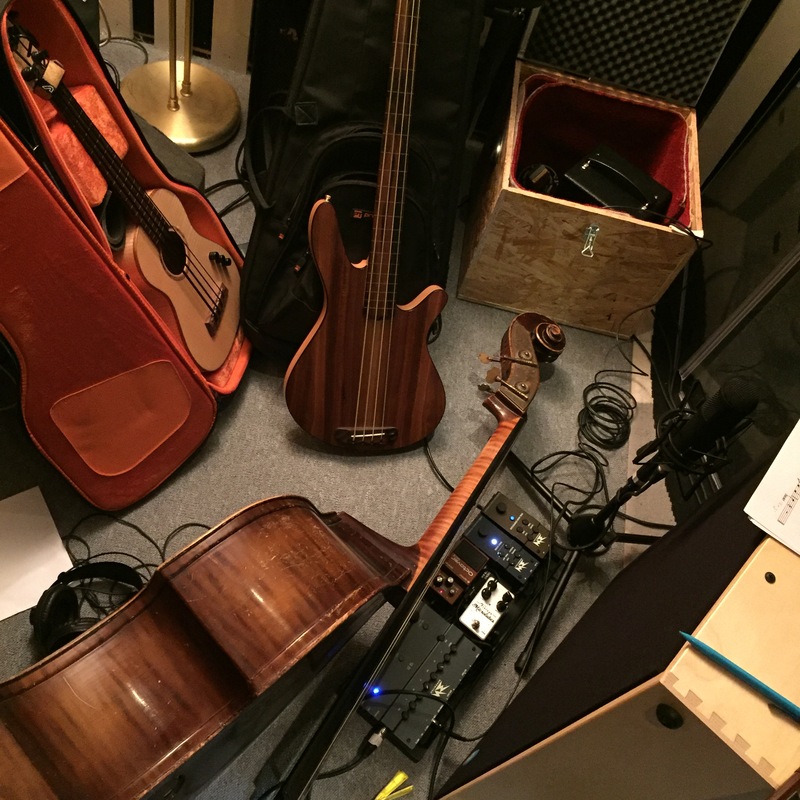 Side note: In the recording I used my trusty fretless Kala spruce acoustic/electric ubass. However in the accompanying video you’ll see my new fretless Kala California acoustic-electric ubass! Tommy is also featured in the latest single release ”Jag vet att vi ses snart igen (Manha de Carnaval)” Link to info about that release! I have been to a couple of music trade shows in Europe as a visitor but this was my first trip to the Winter NAMM show in Los Angeles. It was also the first time working closely with Kala. 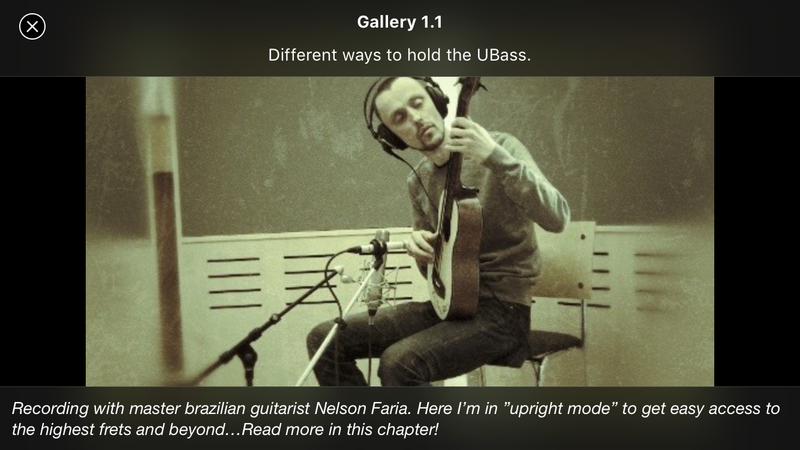 My main focus was to release and letting people know about my first Ebook/ePub in my Learn to play the Ubass series. I started working on the ebook back in 2013 and it has slowly taken its form. The basic idea and the text was ready after about a year but working on how to present it, all the movies and the graphics and navigation took quite a while to finalize. You can read more about the Ebook/ePub and where to find it here. After a +10 hour flight from Stockholm ARN I landed at LAX and took a bus to Anaheim where I met staff from Kala. I settled in and started to plan the next coming days. I arrived on Monday, January 17 with the show starting on Thursday that week. I helped out a bit loading in some stuff and setting up the booth. The booth was fantastic with a really well throughout design that got a lot of compliments from many visitors and booth neighbors. You can find the news coverage and interviews here. I got a lot of new friends at the show and also managed to do quite a few nice jams with amazing musicians. Bakithi Kumalo, Miki Santamaria, Corey Fujimoto, Ariane Cap, was some of the musicians I got to play with. Great fun! The California solid body Ubasses was revamped with slightly bigger and rounder bodies as one of the main differences. Check them out here. I also got to try out the prototype Paddle Bass by Kala. A great one string bass for a quick and refreshing way into the wourld of bass playing! Link to Bass Musician Magazine article. All in all my first NAMM show was a very nice experience. And although it’s quite exhausting being on the show floor with the intense sound and constant stream of people I hope to return and continue my ”IRL” networking across the pond as soon as possible! A big thank you to all the staff at Kala and the wonderful Kala and Ubass artist I got to hang and work with!!! I read a Kala Ubass review in Bass player magazine back in 2010. At the same time my parents happened to be on vacation and they helped me to buy my first ubass at a music store in Honolulu while visiting the islands of Hawaii. l had not been able to try one beforehand but it only took me a few minutes getting acquainted with the short scale length and rubbery strings. After that I have gotten more and more in love with the feel and sound of the ubass. Hope you have or will get the same feeling for these amazing instruments! Read more about my first encounter here! 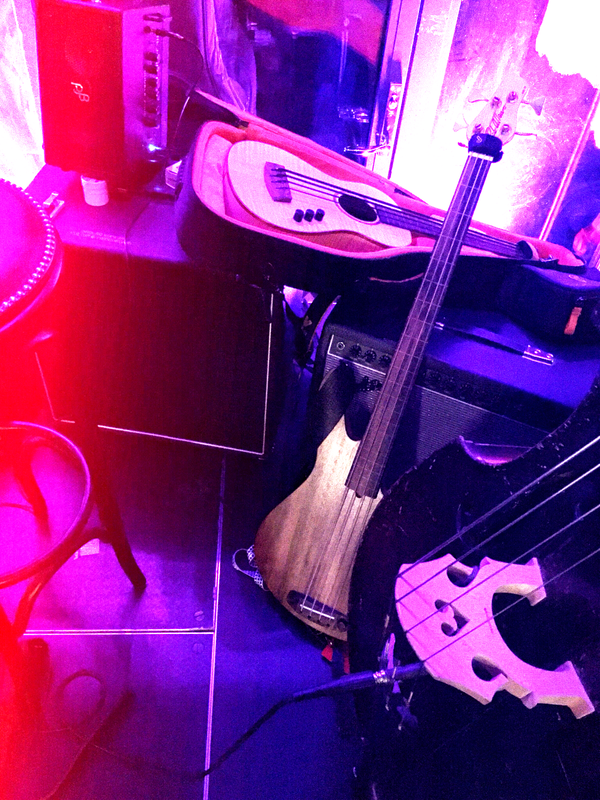 Ubass sighting: Fretted acoustic/electric ubass spotted with Bokanté! The pictures above are from my trip to the NAMM show in Anaheim, CA back in January. I will do a featured blog post about the show but haven’t had the time to do that yet but it will come! So why are these pictures in this post about a ubass sighting? Well, Mr Michael League was one of several featured bass players at this years Bass Bash. He played with one of his bands FORQ. They played a great set and it was great to once again hear Michael play. I was at a show in Stockholm back in 2015 when he was there with his most famous band Snarky Puppy. I have featured Snarky Puppy before in a Ubass Sightings blog post. This post will feature yet another of Michaels bands, Bokanté! This band has a really nice lineup with three guitar players, three percussion players, a pedal steel player and a lead vocalist…and a (u)bass player of course! The word bokanté means “exchange” in Creole, the language of vocalist Malika Tirolien’s youth growing up on the Caribbean island of Guadeloupe. Now living in Montreal, she stands among 8 musicians from 4 continents, each one accomplished in their own right and well versed in music far beyond that of their point of origin. Two-time Grammy award-winning guitarists Michael League, Chris McQueen, and Bob Lanzetti (all from Snarky Puppy), percussion legend Jamey Haddad (Paul Simon, Sting), pedal and lap steel virtuoso Roosevelt Collier (Lee Boys, Karl Denson), and unplaceable percussionists André Ferrari (Väsen) and Keita Ogawa (Banda Magda, Yo-Yo Ma) come together to create a diverse ensemble rich in groove, melody, and soul. 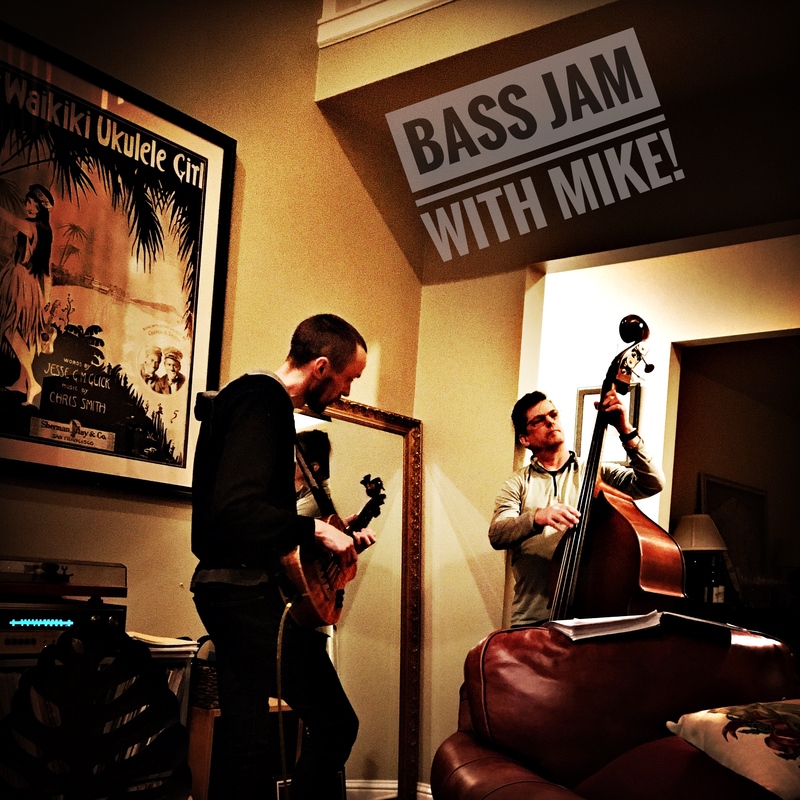 In the song ”O La” you can hear and see that the low end is handled with a fretted acoustic/electric ubass with some help from the baritone guitar Michael is playing. He usually plays bass in his bands but in Bokanté he plays both bass/ubass and baritone guitar on the studio album ”Strange Circles” that will be released in June 2017. [Pre-order available here] On the live shows he will play the baritone guitar exclusively. He recently said in an interview for Scotts Bass Lessons that he wanted to have the chance to play with some of his favorite bass players. On the upcoming tours the bass chair will be filled by different bass players. See and read more here. Please have a listen…and a look. I hope they will come to Sweden someday soon so I get to hear them live! PS. One of the percussionists (André Ferrari) is from Sweden. He’s also featured in the video I referred to in the beginning of this post! PS2 Please check out Ariane Cap (she’s in the picture at the top of the post) and the great book she has written about music theory with a bass player focus!